Jérôme enjoys sharing his passion by offering different types of services. Half-day to week stays are adapted to the level and expectations of individuals or groups. fishing in the move "for a kind moment with family, friends, kids, solo. According to your desires, the places where you are... 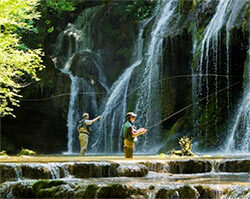 Us will decide together on our part of fishing the french Jura ..Fishing is a poetry, I accompany you to make a daydreaming, enjoy bucolic atmosphere . Predator fishing lures, vertical, casting, trout fishing, catfish fishing. Specialized on Lake Vouglans Coiselet and the River Ain. Fabien Millet offers trips or boat fishing days in search of predators. 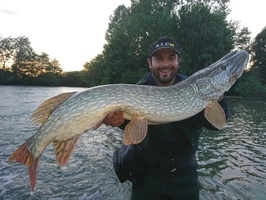 Program: Fishing for pike, zander and perch and why not a memorable fight with a giant of our waters, catfish. 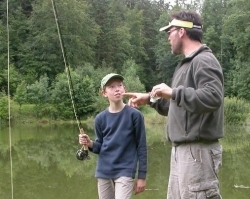 Vouglanspechenature is also many courses and fishing camps for teens and trout fishing.